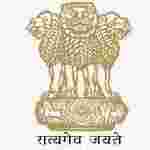 PSCWB recruitment 2017 notification has been released on official website www.pscwbonline.gov.in for the recruitment of 03 (three) vacancies for Senior Scientific Officer. Job seekers should apply from 13th December 2017 and before 03rd January 2018. Here on this page you will get the details like the Name of vacancies released by PSCWB with exact number of posts. Some other criteria like Education details, application fee and way to apply application for PSCWB recruitment 2017. Educational Qualification: A second class Master’s Degree in Physics/ Mathematics from a recognized University or equivalent OR A Degree in Science with Physics/ Mathematics as one of the subjects from a recognized University or equivalent and relevant experience. Interested and eligible aspirants should apply online application form for Senior Scientific Officer post on official website of PSCWB www.pscwbonline.gov.in you need to provide all valid information you may also need upload the scan copies of your documents.